If you are switching provinces you probably have a ton on your plate, whatever your reason for moving may be. From finding a job, searching for a place to live, and meeting new people, free time is at an all time low. However, when switching provinces you need to make sure you deal with the errands listed below. This will help you avoid unexpected expenses, such as not being covered for medical costs or dealing with invalid car insurance. 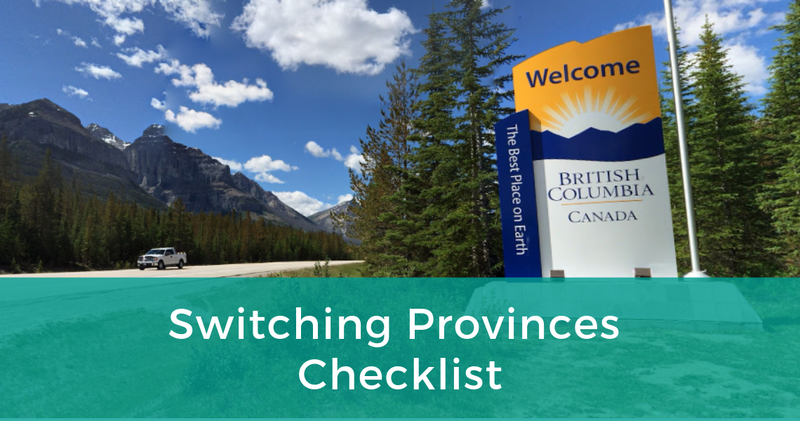 Here is what you need to do when switching provinces. Your kid’s school – You can also pick up a copy of your children’s record for easier transfer to the new school. Your employer – This is a given. However, some people forget to give them their new address for tax purposes. Make your life easier come tax-time by updating this information. Your Doctor: You will want to let your doctor know you are moving, especially if you take medications. They can help make sure you will have enough refills while you get settled, help you find a replacement doctor, and make sure you have your medical records. Additionally, consider notifying other health care professionals such as your dentist and chiropractor. Utilities: Make sure you let all your utility companies know when you will be leaving. This will save you from having to pay the utilities for your old place once you have moved. Lenders: If you have loans you should make sure to update the lender of your new address. Additionally, any one that sends you money should be notified as well. One thing to think about when switching provinces is how to get your stuff there. Your options are to do it yourself or hire movers. It is possible to get a long-distance mover at a very reasonable price. It is less stress as you won’t have to pack all your furniture on your own. You also won’t have to worry about driving a large cube van across the country on roads that you are unfamiliar with. 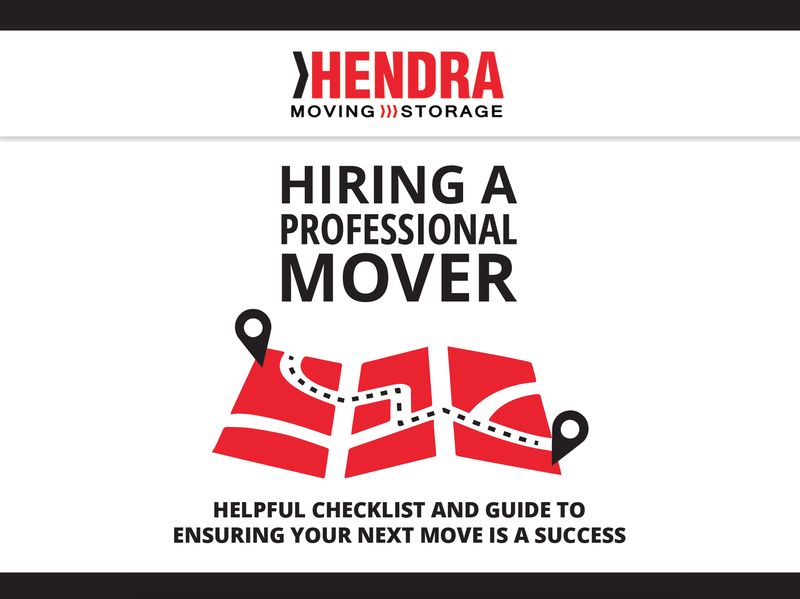 Here at Hendra, we offer great rates to help make your move as stress-free as possible. In fact, you can get you free estimate by answering a few quick questions about your upcoming move online. Once you have moved to your new province there are additional organizations to notify. Some of these places will need proof of your new residency. Canada Post- Get your mail forwarded from your old address to the new one. As you get these forwarded letters, make sure to inform the sender of your new address. Visit the ministry of health website. You will need to apply for a health card in your new province and cancel the old one. You will need to transfer over your license plate and car insurance within a set period of time. This period will vary by province. To learn more visit our previous blog ‘Switching Provinces With Your Car“. Elections Canada- You will have to notify them of your move in order to be eligible to vote in your new province. Canada Revenue Agency – You can update your address information on their website. This needs to be updated to ensure you don’t miss any important letters in regards to taxes that may be sent to your address. Banks: Make sure you keep your address up to date with your bank. If you are banking with a credit union you may also have to switch to a different bank that has locations in your new province. To add a little fun into the mix: whether you are moving to a different province or even just a different city- contact the welcome wagon. They offer newcomers a welcome package with a variety of goodies from businesses in the city. It is a great way to start off in your new community! We hope this has provided you with all the resources you need to have a successful move to your new province. If we missed anything please let us know in the comments below so we can add it to the article and help future long-distance movers like yourself!